Can’t get enough of Big Hero 6, the Walt Disney animation that has taken the cinemas by storm since last week? gumi Asia and Disney recently partnered up to release an iOS and Android game titled Big Hero 6: Bot Fight. Available on the App Store and Play Store immediately, the game may look like your regular candy crushing games, but with a twist to it. 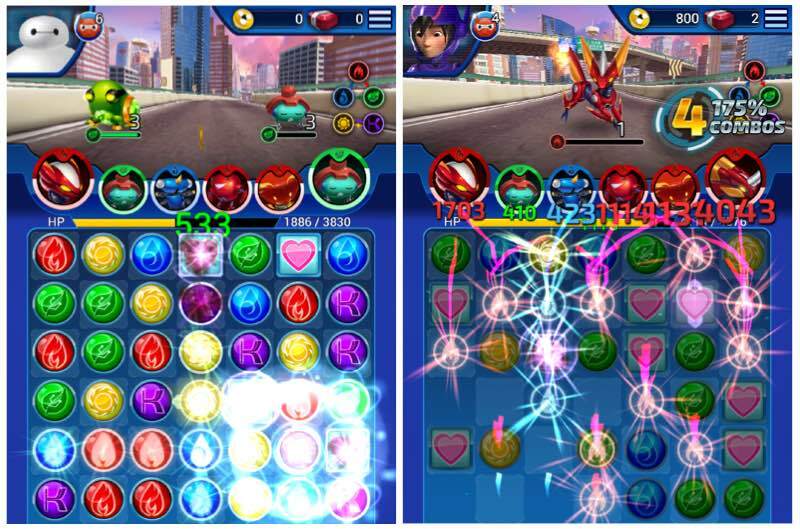 Big Hero 6: Bot Fight has much more to it than your typical match-three games. Instead of matching three or more of the same coloured item go away, you are required to match power cells to create powers to fight the enemies. The power cell colours represent different powers of the Bots – Thermal (red), Bio (green) and Hydro (blue). Each of these powers will have their strengths and weaknesses, and will be used to fight the enemies. 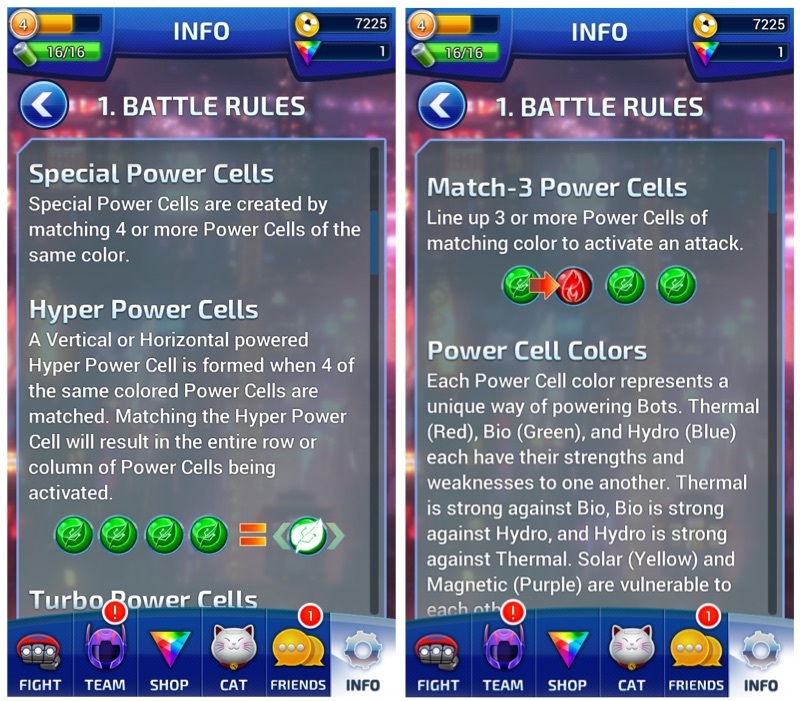 Like Candy Crush, you can create special power cells by matching 4 or more cells of the same colour together – Hyper Power Cells whereby you match 4 vertical or horizontal cells, Turbo Power Cells where you match 5 cells in a “T” or “L” shape, and “Super Power Cells” where you match 5 of the same colours together. You can combine these special power cells together to have a stronger attack. Players and enemies will take turns in fighting, there will be a countdown timer as to how many times you can make a match to fight the enemies before they hit you back. Watch out for your life on the HP meter located right in the middle, if it’s running low, you’ll need to match hearts together to replenish your HP. You enter a fight with a team of up to five fighters. There are over hundreds of Bots for you to find and collect so you can train and build up your most epic team. Each Bot will have different powers to get you through the games. So keep playing to discover new ones! Puzzle Combat that will Test your Mettle – Test your skills! The bigger your power cell match combos are, the bigger your damage will be. Events Galore Post-Launch – The Bot Fight isn’t over even after you’re done with the main storyline. Daily, weekly and monthly events will keep you entertained for hours on end. 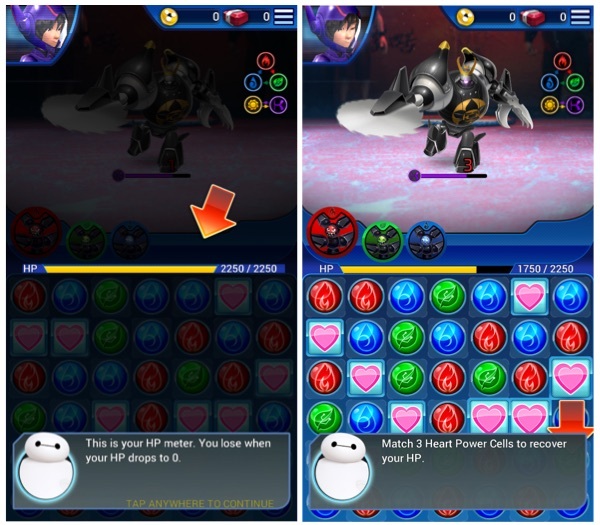 Big Hero 6: Bot Fight is free for download on iOS and Android devices, and offers in-app purchases.